The Queen Mary Inaugural Queensway 5K was a blast! 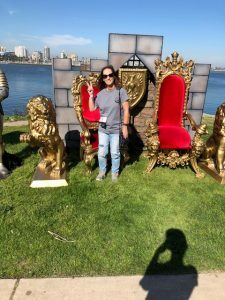 You are here: Home / SoCal City Kids News / The Queen Mary Inaugural Queensway 5K was a blast! 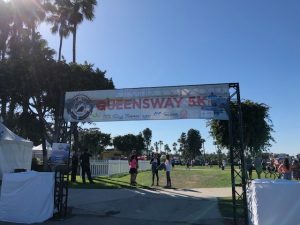 The Queen Mary’s inaugural Queensway 5K invited Long Beach to lace up their high-top sneakers and walk, run, or jog through the Queen Mary’s Events Park and Long Beach harbor on Thursday, March 29th, 2018. 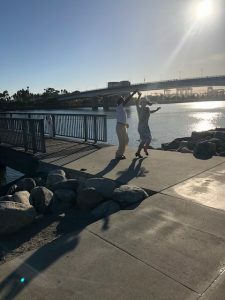 The course took participants across the Queensway Bridge for breathtaking views of the Long Beach city skyline, finishing at the Queen Mary Events Park for the post-race celebrations. 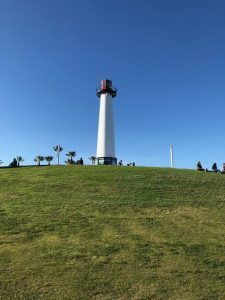 The first-year festival is a new, family-friendly event, providing an opportunity to celebrate the Long Beach community, local businesses and organizations, all at the iconic Queen Mary. The Queensway 5K kicked off at 3 p.m. with on-site registration, music, and organized stretches. The 5K run began at 5:15 p.m. All participants were expected to be finished by 6:30 p.m. 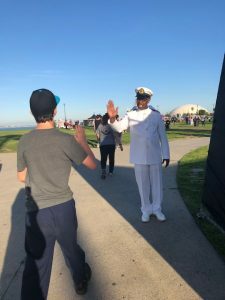 Along the 3.1-mile course, participants saw Queen Mary signature characters and icons as they walked, ran, or jogged through a year of events offered at the legendary Queen Mary. My son and I participated and had so much fun! 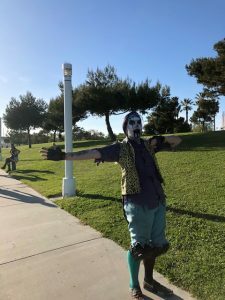 We didn’t quite run but we did walk at a fast pace and finished at 6 p.m. What was so much fun was seeing the different Queen Mary signature characters. 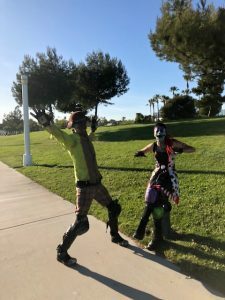 I loved that the Dark Harbor characters were giving high fives! They weren’t quite as scary as they are at Dark Harbor! 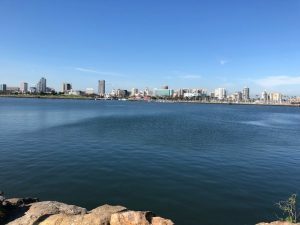 It was a beautiful sunny day and I loved seeing the beautiful sights in Long Beach! This was quite an impressive and a really fun event! I’m hoping that The Queen Mary has another 5K next year! If so, my son and I will be there! Self Disclosure: I attended the event as Media. Images are my own.